Here’s the Week in Tech — all the gear news, tips, and announcements you need and none of the marketing gibberish you don’t. The new Glendale sunglasses have been perhaps the worst-kept secret since we first spotted them at Eurobike. 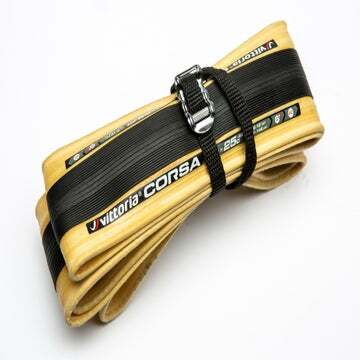 They’re official now, and they’re reminiscent of Andy Hampsten’s iconic Oakley eyewear he wore on the Passo di Gavia at the 1986 Giro d’Italia. In other words, they’re big. This, according to 100%, offers a wide field of vision. There’s added ventilation slots in the lens as well to ensure air gets around the windshield-sized front area. For $185, you get a spare lens, a vintage style case, extra nose piece, microfiber bag, and heaps of Peter Sagan style. How many roads? Factor says all of the roads. Mountain. Gravel. Road. All-Road. We need another category, right? Fortunately for Factor, the All-Road category has existed in some form or another since the earliest bikes, but this one’s far more refined. 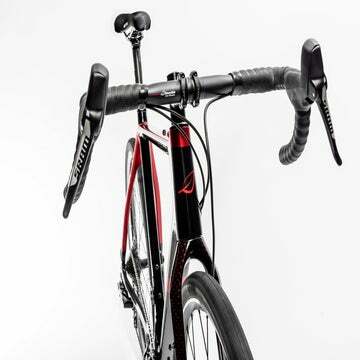 The Vista features size-specific carbon layups to balance stiffness and compliance. 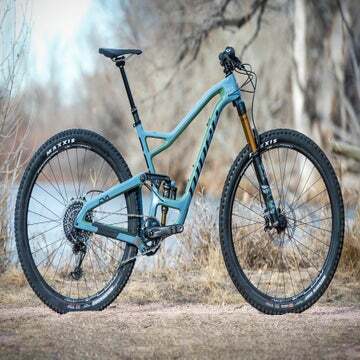 It’s optimized for 35mm tires, and the specially designed fork features an external steerer and accepts a 12mm thru-axle. Other modern touches include an integrated cockpit and a flat-back seatpost that flexes for added comfort. The Vista was designed with input from Giro d’Italia winner Ryder Hesjedal, who started his career as a mountain biker. The chassis will cost you $4,800 and prices go up from there, depending on build and options. If you own a Blade, Magma, Elle, or Jade helmet, in size XS or S, Lazer has recommended a voluntary recall. Take your helmet to your local dealer for a free replacement, or go to Lazer’s website to get instructions on how to get your replacement lid. The affected helmets may not pass CPSC roll-off testing, and the helmet strap anchoring point can detach from the helmet during impact. The affected helmets were manufactured from 2015 onward. The helmets called Blade+ and Magma+ feature updated straps and are not affected by the recall. A white sticker within the helmet will identify the model name and number. If your numbers match the ones in the photo above, you are eligible for a recall replacement. If you’re interested in buying the new Shimano XTR M9100 group, you now have the option to branch out your wheel choice to Industry Nine. I9 became the first company in North America (outside of Shimano, of course) to obtain a license for the new freehub body design, which features a new spline design for XTR M9100 cassettes. The freehub will be compatible with all I9 Torch series mountain bike hubs. Availability and pricing will be announced by the end of 2018. It’s hard to beat Silca’s tools and pumps if you’re after some swanky garage candy. Fortunately, Silca is releasing several new products just in time for inclusion on your holiday gift list, including the Super Pista digital floor pump, the Pista Plus floor pump, and the Sicuro carbon water bottle cage. But perhaps even more exciting than that, Silca now offers its new Ypsilon Y-wrench. You’ll recognize the shape instantly from just about any Y-wrench out there, but the Ypsilon distinguishes itself from the crowd with its unique, swappable third bit. That third arm is a standard 1/4-inch size, and a magnetic collet keeps it all in place. The tool itself costs $36 if you don’t need any bits; the Travel Kit with bits runs $74; and for the connoisseur who loves the finer things in tools, the $108 Home Kit slots all the bits and the tool in a foam insert, which sits neatly in a birchwood box. Strava recently updated its subscription tiers to better serve its athletes. There are tailored packages to help you accomplish your goals, and now you can purchase the Summit packages as a gift for someone else. You don’t need to be a Strava member to purchase the gift subscription either. So when December 24 rolls around and you realize you didn’t shop for that special athlete in your life, you’ve got a great gift at your fingertips. Subscriptions start at $24 and go up from there. Joining the Assos Speed Club connects you with racers and riders around the world to form a new community of cyclists interested in all aspects of the sport. But more importantly, it gives you access to discounts and deals from Assos. Membership is free, and the service will officially launch in January 2019. If you upgrade to the Premium membership (for a fee), you’ll get custom Speed Club items and access to early release products before they’re for sale.